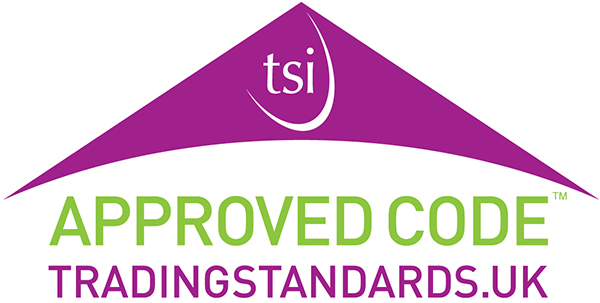 Comprising leading manufacturers, suppliers and installers of conservatories. It is one of the oldest and most influential Groups in the industry. The GGF Window and Door Group has existed since 1977 and is made up of leading manufacturers, suppliers and installers of windows and doors. It is one of the oldest and most influential groups in the UK glazing industry. 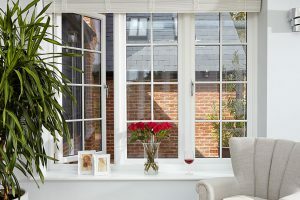 Each member of the Window and Door Group supplies replacement windows and doors in all framing materials including aluminium, UPVC, steel and timber. GGF Member companies in the Window and Door Group meet quarterly at a central location in the Midlands to discuss Member interests, concerns, vision and planning as well as emerging commercial and technical issues and standards. An example of the Group’s achievements was seeking Members’ views and understanding on Document L of the Building Regulations so as to influence the final outcome and implementation, not only in 2002 and 2010, but also for 2013. They may not seem like the most over indulgent of purchases, but a new set of windows and doors could on their own be enough to improve the aesthetics of any type of property, at a cost you can afford. 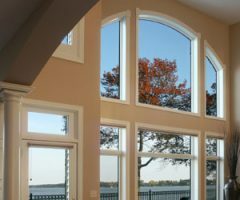 The frames used on a brand new window or door will prove to be a much finer insulator of heat when compared to a traditional window or door. This will be beneficial to your home as they will act to ensure that as little heat generated in the home is allowed to escape through them, helping bring down the cost of your energy bills and energy usage. Homes are currently responsible for around 28% of all UK CO2 emissions, contributing to the impact of climate change. By replacing windows and doors you will be displaying a firm commitment towards making the world a cleaner and greener place. Old windows and doors just aren’t able to provide the level of energy efficiency that your property needs to have in the 21st century and they are often the main causes of heat loss and draughts. By staying loyal to your old windows and doors you are effectively throwing your money away and damaging the environment at the same time. GGF Members may download agendas, minutes and attachments relating to meetings of this group. A GGF member can guarantee quality home improvements When choosing a home improvement company Learn more. New windows and doors are indispensable The power of new windows and doors cannot Learn more.